Isaiah 42:3 – A bruised reed shall he not break, and the smoking flax shall he not quench: he shall bring forth judgment unto truth. Matthew 12:20 – A bruised reed shall he not break, and smoking flax shall he not quench, till he send forth judgment unto victory. Richard Sibbes whom I have quoted before wrote a book called The Bruised Reed. The book was published in 1630 and is still useful today nearly 400 years later. I am not going to preach about that book today but rather try and talk about this passage from the Old Testament book of Isaiah that Christ quoted during his earthly ministry. I want to focus in on the the bruised reed shall he not break. 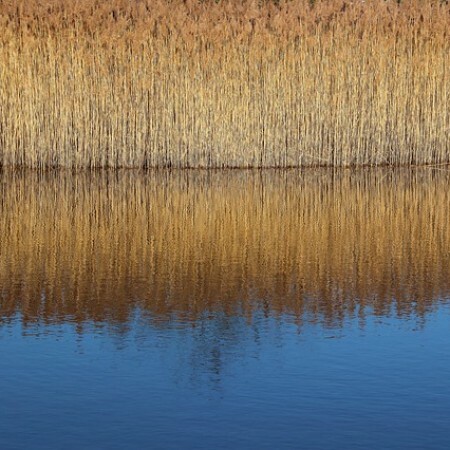 The common reed (Phragmites) grows in wetlands throughout the world. The roots grow so deep on this plant that in order to kill it off you need to burn it off multiple times over a period of 2-3 years to get rid of it. It is what is called an “invasive species.” It can tolerate adverse conditions and can put roots out that are up to 16 foot long that allow it to spread quickly. It can grow in brackish or bad water too. It also has an elastic or flexible structure. These reeds can be cut and used for thatching and roofing. The Christian is likened to a bruised reed. I do not think that the reed was chosen by accident. Just like real reeds, we as Christians should thrive and grow under very adverse conditions. Our roots should spread wide as we reproduce ourselves and win others to the Lord. Our pains and trials will produce growth in our lives that will allow us to reproduce. The best Christians are those who go through trials and tribulations and glorify the Lord in the process. As they do that, their sweet spirit, will produce joy and happiness that will draw others to Christ. Their bruising is what draws men to Christ. Because of the elasticity of the Christian, they will bend and flex but never break. God ensures that they are never tried beyond what they can withstand. They should be so strong that it is impossible to kill them off. A bruised or bent reed will not break off and die. Neither should a child of God. A Christian should grow best when bruised. A good Christian can bend in heavy winds of persecution and trials. A good Christian can take being flooded out by the storms of life and spring right back. Just like real reeds, the Christian can be used to provide protection from the elements like a thatched roof. The Christian gets his strength from the Lord so he is able to survive like the common reed. What about you? Are you able to keep growing and being a blessing to others when you are bent or bruised?